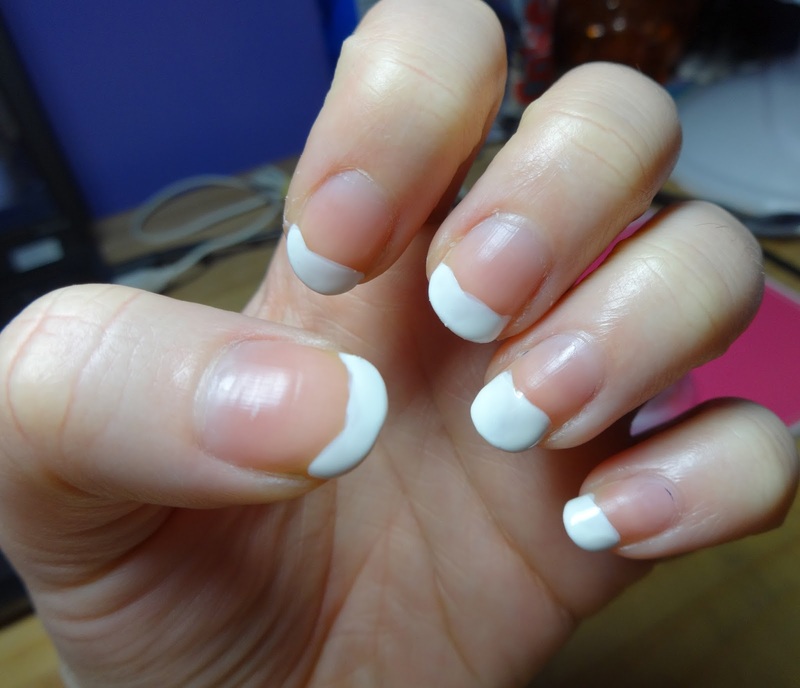 I've been after some new nail polishes so I can do the classic French Manicure look on them. My old set is about 4 years old and is no longer of any use or quality, so an investment was in need! 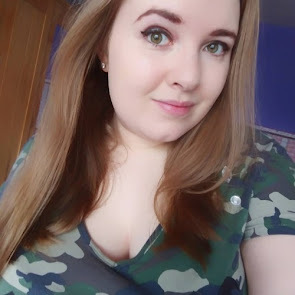 I finished work last night and thought I would see what Rimmel and Collection 2000 had on offer, due to them being the only brands we stock, a range is limited! I saw that Rimmel had a few on offer, but the bottles were smaller than the Collection 2000 ones that were also on offer! So Collection 2000 won, and here is what happened! Each bottle was on offer at £2.50, so came to £7.50 in total for the three, which I am mega pleased about. I bought the French Tip, Pink Base Coat and the Top Coat. They don't have numbers at all, but are all grouped together on the shelves! 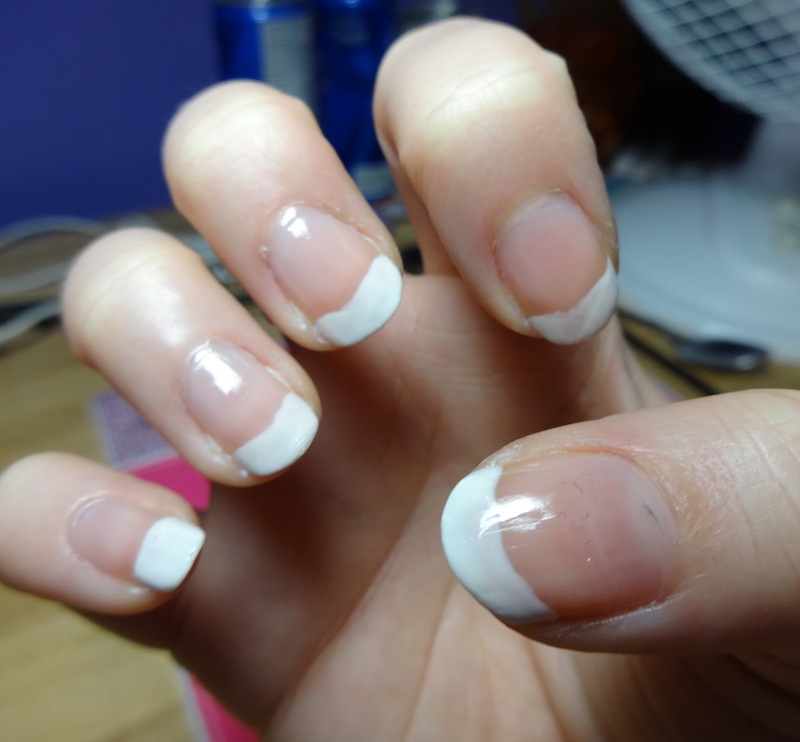 This is also the first time I've ever done this without nail guides, so this was really a trial and error method, by just eyeballing the white tips on! The white tips needed two coats so it was a lot clearer. One coat was fine as it is quite pigmented, but I like to do two just to make it bolder. The lines are a little wobbly, but like I said above, first time without the guides!! Once this dried I then applied two coats of the pink polish. I know it says this can be a base coat, but I've always done the tips first so the pink can dull it down a little! Don't want it to look like I have Tipex on my nails! It took a little longer to dry with two coats, but I like that it only dulled the white down a little. The pink is also nice and shiny! I was watching a film as I was doing this, so I know it took about 15 minutes for it to be completely dry and not tacky any more. Lastly, was the top coat which sealed the design in and added a nice shine to it. My right hand looks a little more messy as it was done with the left hand, but it seems to have worked out okay! Here is the final product! I really like how this turned out, and I hope with practice that I can get the tips to look more professional and less Tania! I really recommend these polishes if you are after a new set as they worked a treat and the end result is so nice. Fragrance Direct Haul & 100th Post!